Each encounter in Altibox Norway Chess next year will produce a winner, as one of the world’s top supertournaments has decided to trial an idea long championed by the likes of Rustam Kasimdzhanov and Sergey Shipov. In each match-up a FIDE-rated classical game will earn the winner 2 points, but if there’s a draw the players will share half a point each and then immediately play Armageddon for the remaining point. The organisers hope to “create more excitement for spectators and put more pressure on the players”. 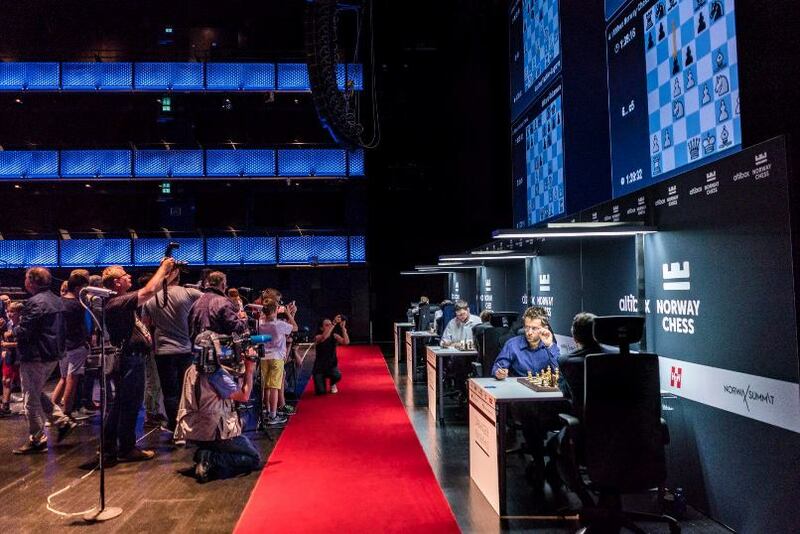 In its 6-year history Altibox Norway Chess has been a trendsetter, introducing the confession booth (with live Norwegian TV coverage), multiple playing venues and popularising the 10-player all-play-all format with a blitz tournament to decide the pairings. If the event in Stavanger can also popularise the new format it might just revolutionise chess. That’s always somewhat accidental, and drawn games can be thrillers, but numerous people have pointed out that the fundamental issue is the very existence of the draw in chess. The main attraction is, as I see it, the fact that every single fight produces a result; a winner and a loser at the end of the day. And there is a thrill for every spectator to see, say, Nadal and Federer, come to court, and know with certainty that one of them will triumph and the other one will lose. In short, to put it figuratively, there will be blood. And there will be great champions. 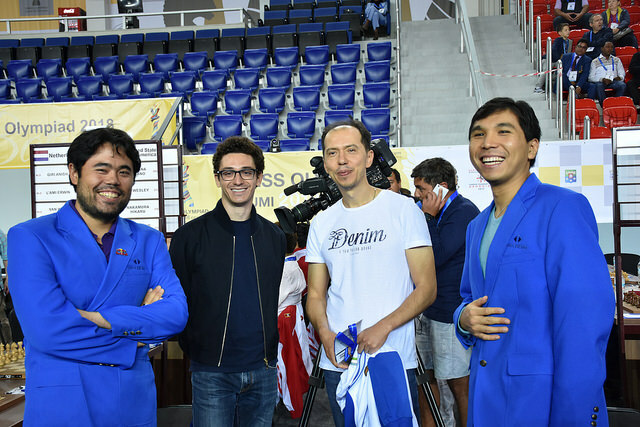 If us chessplayers also want worldwide popularity, if we want chess to enter sporting organisations (including the IOC) and not be a poor relation, then we also need to correspond to the demands of our time. And instead of making a show of drug testing, it’s better to introduce a system of play-offs after a drawn result in the main game. So that even spectators who don’t understand chess (and they’re actually the ones who matter, who’ll bring TV and other media with them) can be happy or upset about the result - feel the emotion. My proposal for round-robin tournaments: If there’s a draw in the main game then you should play two blitz games – let’s say with a time control of 3 or 4 minutes a game + a 2 second increment. If that doesn’t decide the best player, then Armageddon will follow. Even players who are tired after a long battle will be capable of that. And you don’t need much time. In the 7 years since those proposals were made little changed. The Zurich Chess Challenge experimented with forcing players who made early draws to play a rapid game shortly afterwards, but it didn’t affect the scoring and was more about giving the audience a little extra entertainment (plus adding some mild discouragement of quick draws). It seems with Norway Chess that might change! The main difference from Shipov’s approach is that there won’t be two games of blitz first but an immediate Armageddon game, reducing the time required and almost guaranteeing some crazy action each day. For anyone who doesn't know, an Armageddon game is one in which White has more time on the clock but must win - a draw will be counted as a win for Black. Ending with such a game is often compared to using penalties to decide a football match. There’s also a twist with the classical time control, which will be 2 hours per player per game, with no increment. That will obviously ensure the classical games can’t go on longer than 4 hours, and also promises some time-trouble mayhem. The games will matter, though, since that time control is one FIDE allows for rating purposes. Rustam’s proposal that the entire mini-match – the classical + rapid + blitz – is rated as one game might be a fascinating one for the future, but it’s clearly not something FIDE would sanction right now. There’s no crisis in chess and proposals like Kasimdzhanov’s are terrible. I’d take the “former World Champion” title away from that man. Even the “former”! …but what it should guarantee is entertainment. 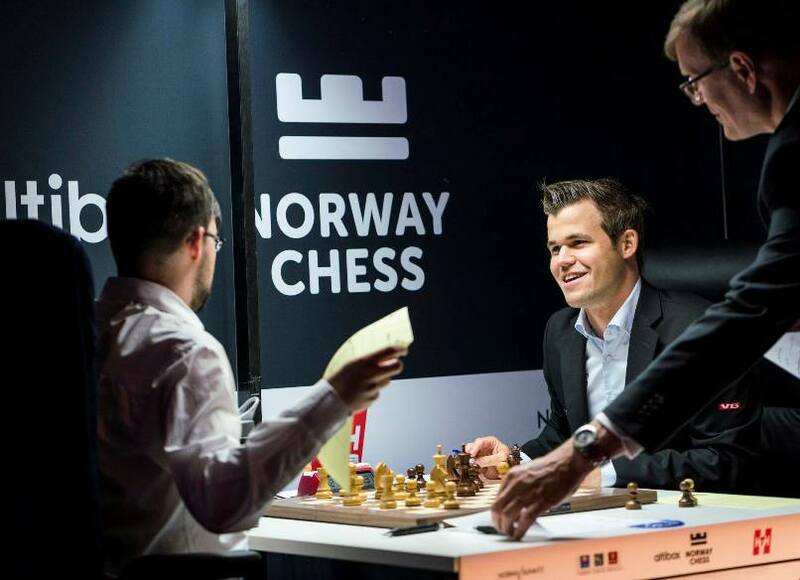 If the players are willing to go along with it – and judging by the stunning fields Norway Chess has provided in the past there’s no reason to doubt it – there’s definitely room in the chess calendar for such an experiment. This particular one takes place from June 3-15, 2019. What do you think about the idea? Let us know in the comments below!